Surgery itself, and the anaesthetics used, will cause stress on the body and suppress the immune system giving rise to increased susceptibility to infection. In addition surgery is usually accompanied by a course of antibiotics which disturb the balance, level and range of microbes in the gut. This gut ‘microbiome’ is an important part of the immune system. This includes heeding the generalised advice to increase intake of fruits and vegetables. Foods that have a specific impact on the immune system include all mushrooms (but shiitake and maitake mushrooms appear especially beneficial), dark berry fruits, cruciferous vegetables like cabbage, spinach, broccoli and kale, pumpkin, citrus fruits for their vitamin C content, garlic, wheat germ which is high in vitamin E and green tea. If you are taking a supplement a one-a-day will not contain the range you ideally need. Look for a supplement that includes a balanced range of immune supporting nutrients like green tea extract, flavonoids, Omega 3, vitamin D3, all 8 forms of vitamin E, carotenoids, curcumin and zinc. NutriShield contains these and more. 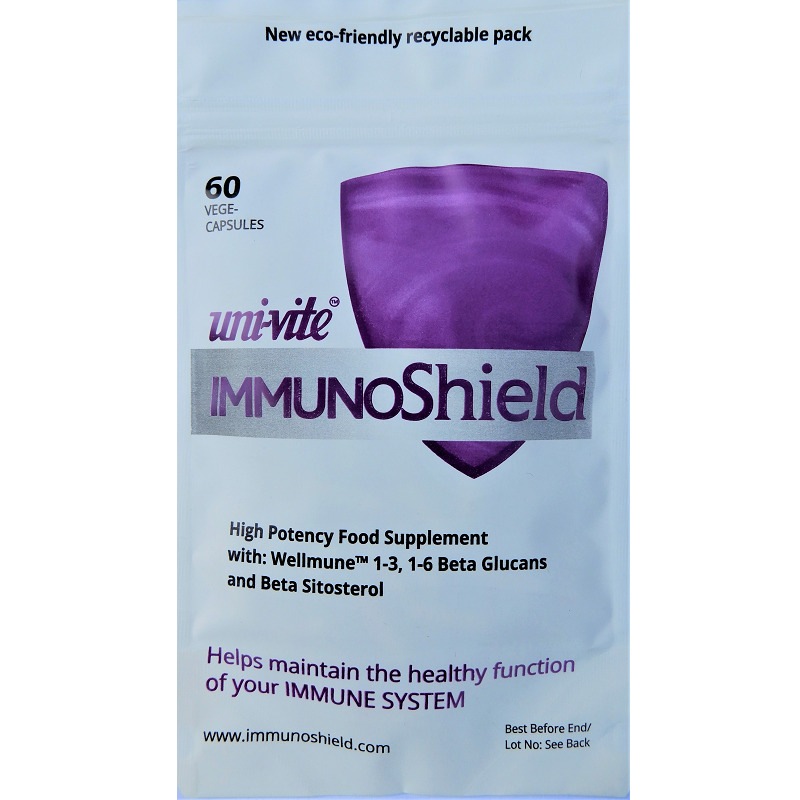 The natural ingredient in ImmunoShield called Wellmune ® 1-3, 1-6 beta glucans has been shown to boost the number and activity of neutrophils and macrophages. These are key components in a strongly functioning immune system.